mSpy monitoring service/app tracks lots of data, but is it too snoopy? What is it? The ultimate eavesdropping solution for people who want to see what their employees, kids or spouse are doing on their Android (or jailbroken iPhone) smartphone. The service can track what phone numbers are being called, the recipient and contents of text messages, what photos, videos and audio recordings they’re taking, what web sites they’re visiting, and emails they’re making. You can also block the smartphone from visiting specific web sites,block specific applications, monitor other apps (Skype, WhatsApp, Facebook and Viber). Why it’s cool: The vast amount of things that the app/service can monitor is quite impressive, if not totally complete (for example, you can’t see any incoming MMS message, so the off-color photo your daughter receives from the boyfriend won’t be detected). Features that the service offers — including device wipe, app/site blocking and incoming phone call blocking — are usually only seen on enterprise-level mobile device management (MDM) products/services. Seeing a service like this target consumers and (more likely), small-to-midsize businesses is an interesting trend. Some caveats: We had difficulty hearing our recorded phone calls (all we got was static rather than a recording); the location tracker seemed to utilize the cell phone towers for location, not the device’s GPS function (it took some time for the system to discover where the phone was located). The folks at mSpy said the likely culprit was an older version of the software on our test Android phone - but instead of an over-the-Internet firmware/app update, they said they’d have to update the phone in person (a paying user would likely have to physically update the app on the phone as well). The bigger issue/problem for users is whether you want or need this amount of monitoring of your mobile devices. This is major spying / monitoring territory that you’re entering here - being able to see exactly what the smartphone user is doing with their phone. Whether it’s your employee, your child or your spouse/partner, the issue of trust comes up with software like this. 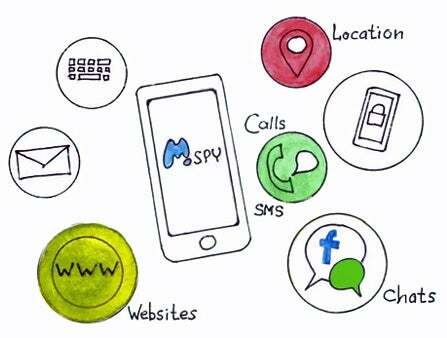 Even though mSpy says on its site that “My Spy (mSpy) is designed for monitoring your employees or underage children on a smartphone or mobile device that you own or have proper consent to monitor,” and “You are required to notify users of the device that they are being monitored,” there’s a big chance that the user will forget about this at some point, and the boss/parent/spouse/partner will end up seeing something that they might not want to see. It’s a level of privacy invasion that I’m not comfortable doing with my wife and kids (maybe I’ll feel different when my kids get older), and I’d have doubts about having IT staff doing this with employees. If you have any doubts about what the app/service can do or is aimed at, type in mSpy in YouTube search and see that the second video is called “How I caught my boyfriend cheating using mSpy”.